MARIE van Beers' eldest sister Betty left first. Tears slid down her cheeks, her hands clutching her walking frame. She paused in the aisle as family members consoled her. She walked on, those beside her brushing away their own tears as they caringly helped her outside. 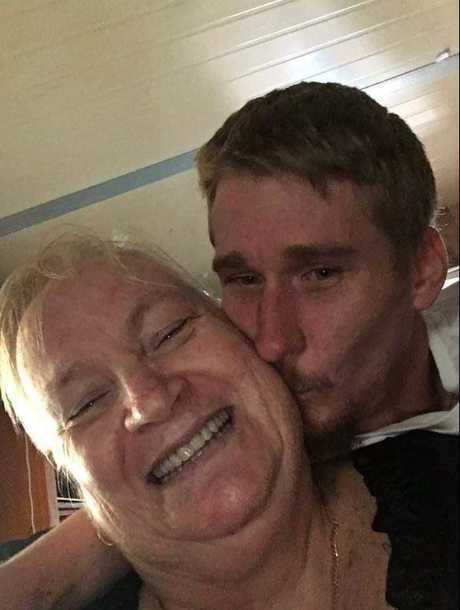 The touching, intimate funeral service farewelled mother, sister, grandmother and aunt Marie Bernadetta van Beers of Tweed Heads, who was allegedly stabbed to death by her ex-partner, Paul Ryan, on November 12. FAMILY: Some of Marie van Beers' family. Son Chris van Beers sitting next to Moya Reid, Marie's sister, plus Ms Reid's daughter, Martina Reid on far left at back. 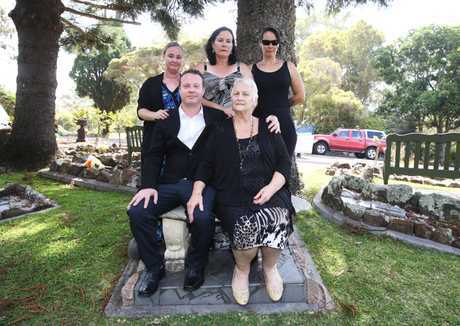 Bon Jovi's Never Say Goodbye and It's My Life brought smiles to faces during the 63-year-old's funeral service - even laughter as they affectionately remembered how much she loved the charismatic singer Jon Bon Jovi. But the closing song, In the Arms of an Angel by Sarah McLachlan, overwhelmed them all. At the front of the funeral parlour, Marie van Beers' two adult sons, Chris and Michael, clutched those closest. Both were inconsolable. Grief wracked their whole bodies as they placed flowers on her casket, turning back to family for comfort. 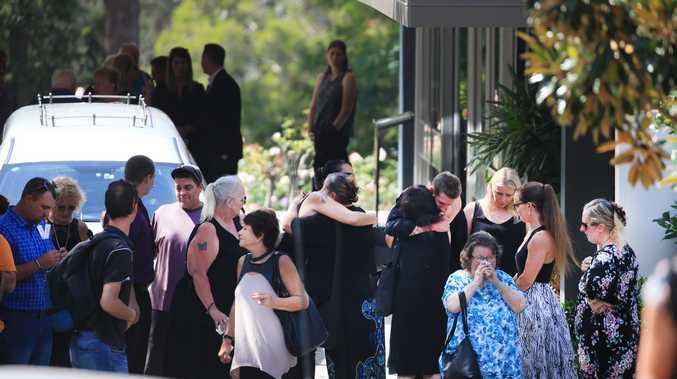 Marie's sister, Moya Reid, greeted and thanked close to 40 people for coming to the funeral service, held at Tweed Heads Memorial Gardens and Crematorium yesterday. But true to Marie's nature, the sombre mood of the funeral was punctuated by laughter as the service continued. 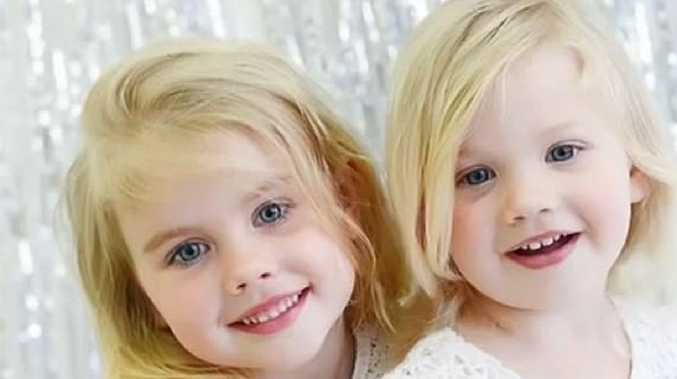 Like when they watch a slide show of pictures or when they were told how she tried to run away from home as a young child with an apple, a singlet and a pair of undies to hide under the house. When her mother told her there were spiders there, she changed her runaway spot to the chook shed. Marie was remembered as bright, bubbly and having a great sense of humour. "She loved walking along beach and headlands, wherever she could," a family member said. "It made her happy and she found it peaceful ... (Chris and Michael) were her reason for living. "The family moved to the Gold Coast to enjoy the lifestyle they couldn't in Sydney. The boys and Marie loved to fish and were members of the local fishing club." Outside the service, Chris said they had lost a "perfect" and "beautiful" person. "There's only one of her," he said. "She was so peaceful, such an angel. She was full of love, full of life. She was pretty special, extremely special."